SANTA ROSA, Calif. (KGO) -- The Sonoma County Department of Health Services now says trucks used to move potentially toxic fire debris from Oakmont Senior Living may not have been permitted. Santa Rosa Police Department got involved after the debris had already been transferred to M&M Services in Windsor. The Department of Health Services granted M&M an emergency waiver to accept fire debris. However, the Santa Rosa Fire Marshal says the assisted living facility whose Villa Capri building burned down in the fire two weeks ago did not have a permit to remove the debris. 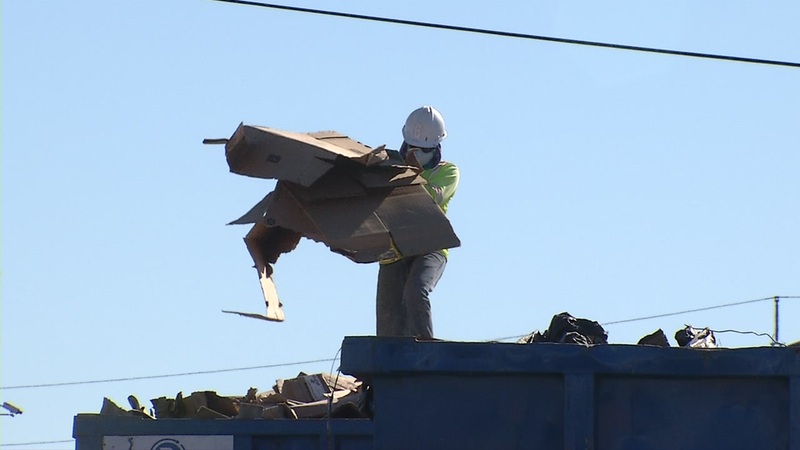 Oakmont Senior Living contracted to have the debris moved before the EPA could test it and before anyone could search the debris for human remains. The Fire Marshal issued a cease and desist work order but only after 75% of the debris had already been removed. The Police Department later determined there were no unaccounted-for individuals from the property. M&M tells ABC7 News most of the debris has since been sorted and sent to a landfill. "Potentially some of the trucks involved in hauling the debris to M&M Services may not have been permitted and that's something we're also additionally looking at it's part of an ongoing investigation," said Scott Alonso, Spokesperson with the Sonoma County Department of Health Services. Oakmont Senior Living has said all 430 residents are accounted for, safe. An employee with Oakmont Senior Living told ABC7 News it had no comment regarding the debris removal. The Department of Social Services has three open investigations into the evacuations from 3 buildings at the assisted living facility including Villa Capri.